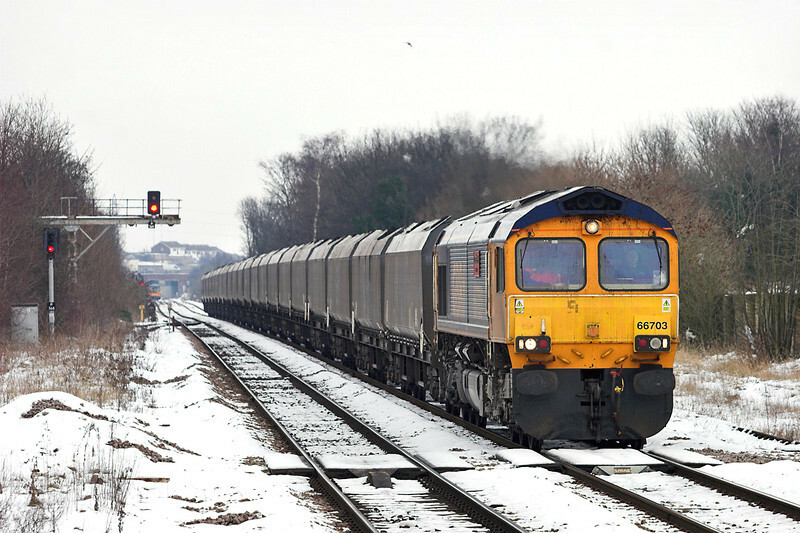 Hello, and welcome to part 37 of the Railwaymedia blog; I thought I would try and squeeze another edition out before the end of January. I am expecting February to mainly be spent, due to my work patterns over the next few weeks, continuing scanning in my older pictures. You never know though: a nice bit of snow, and preferably sun, may tempt me out with my camera. The beginning of January I did do quite a bit of scanning in of slides from my late fathers collection. The majority of these he had bought in the 1970's so I have no idea who actually took them. Apart from a lot of family pictures there were several boxes of steam pictures, most of which I have done and can be seen HERE, but actually for me the more interesting ones were the pictures of tram and trolleybuses taken in the 1950s of various Council owned operations, of which there are about 50, many depicting some wonderfully historic street scenes. See HERE for this collection. With just a few steam ones left to do, I shall then be moving back to my scans of negatives from 2002/2003. As I did with the last batch of these, I shall try to do them in roughly monthly batches and when completed create a temporary album for them. Please check New Additions. Talking of new additions: as quick as possible a resumee of the outings I have managed to make since the last blog. With generally dire weather it has really only constituted a few small trips. First of all was to photograph DRS's passenger crew training service that was operating for a few weeks between Crewe and Sideway (near Stoke-on-Trent) via Liverpool and Manchester. There is again talk of DRS starting a service on the Cumbrian Coast, as they trialled at the beginning of last year (see blog numbers 2 and 6). 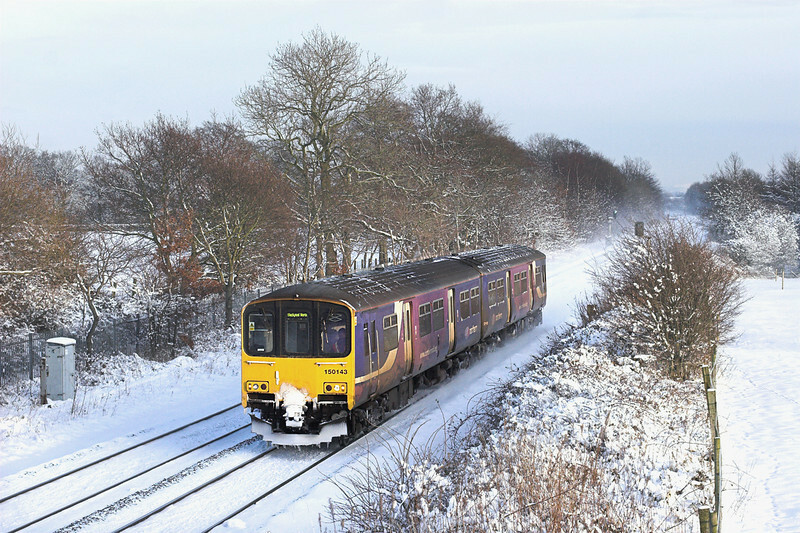 With this in mind they had this learning train based at Crewe and a second on the Cumbrian Coast. Part of the training involved practising station stops, which made for a good shot of 47501 departing Patricroft, the clagging of which is improving! 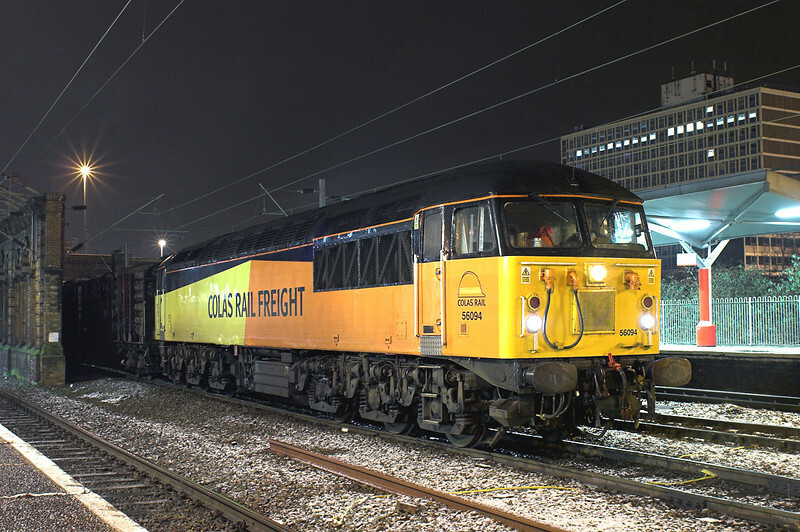 A few nights later I took my camera to Crewe as the last two Class 56's that had been stored outside the former Diesel Depot were awaiting to go for, presumably, scrap. 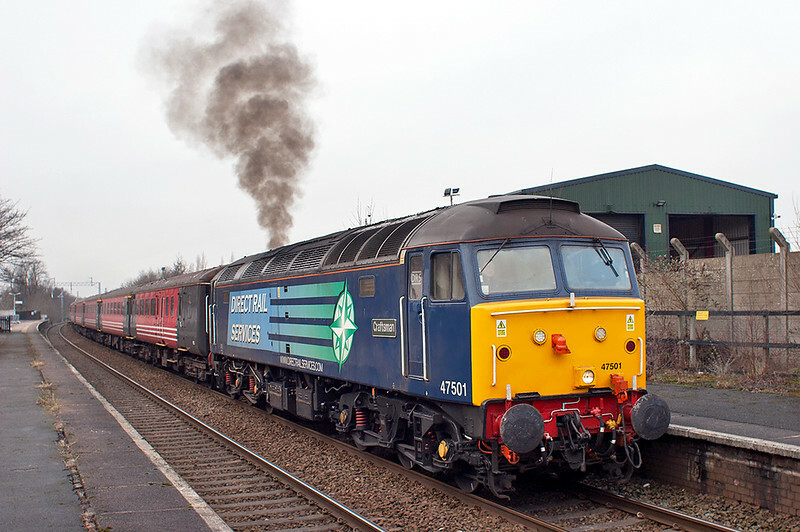 These were 56037 in EWS livery and long-stored and very rusty looking Load Haul liveried 56077. I walked back to the station just in perfect time to see another of the class, Colas 56094, on the weekly log train from Teingrace to Chirk which, rather suprisingly, appears to run loaded all the way up to Carlisle on a Thursday night in order to await it being able to come back to Chirk for unloading on the Saturday. The following week I had to travel between Edinburgh and Glasgow with work. 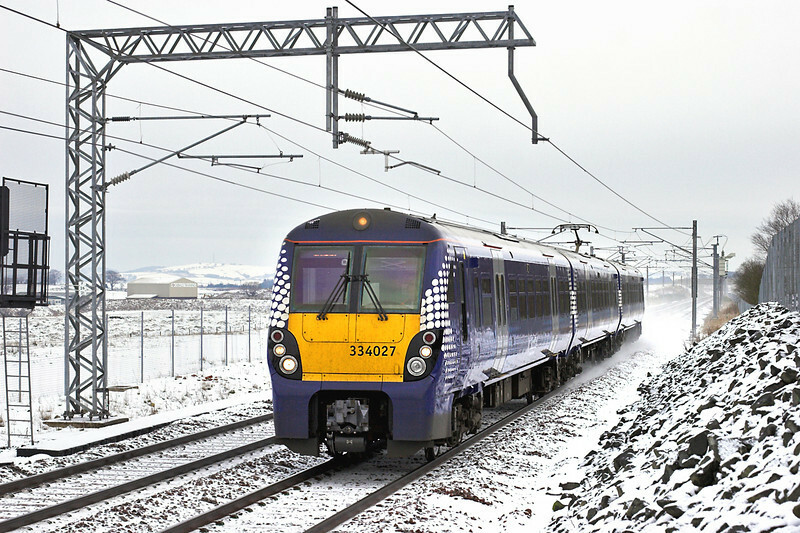 Of course there are now 4 different routes you can take between the two cities; with an hour extra to spare I chose the newly electrified route via Bathgate and stopped off at Armadale (pictured at the top of this blog) and Blackridge. The latter station is a massive modern structure serving what seems like a hamlet of about 10 houses. Considering how many much larger communities in Britain would give anything to have their own station, let alone one with half-hourly trains operating to two major cities, Blackridge's few inhabitants have done rather well for themselves. The line itself between Drumgelloch and Bathgate appears quite good for photographs with a cycle path following the route for almost it's entire length. There is also by the line Hillend Reservoir near Caldercruix which I want to investigate at a later date; it is just a shame that the line is only operated by Class 334 EMUs; even the sight of the 318s or 320s would break the monotony! A couple of days later, with the forecast even worse, I went across to Scarborough and Hull solely with the intention of visiting pubs, though I did of course take my camera just in case. Last time I had visited Scarborough was in 2010 just before Falsgrave Signal Box and its famous Signal Gantry were removed. With the exception of the summer-time Scarborough Spa Express there's little there now of interest from a railway point of view, unless you like over-engineered colour light signals. I did stop off for half an hour at Beverley to photograph the signal box which I had missed doing on my last trip. 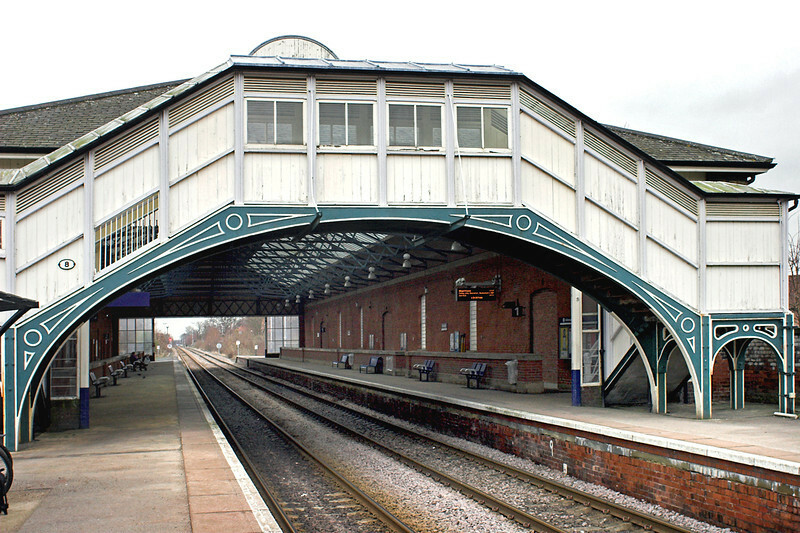 No semaphores here either (though nearby Bridlington still has a selection at the southern end), but the station is one of only two left on the route between Hull and Scarborough to still have their superb Grade II Listed station buildings complete. 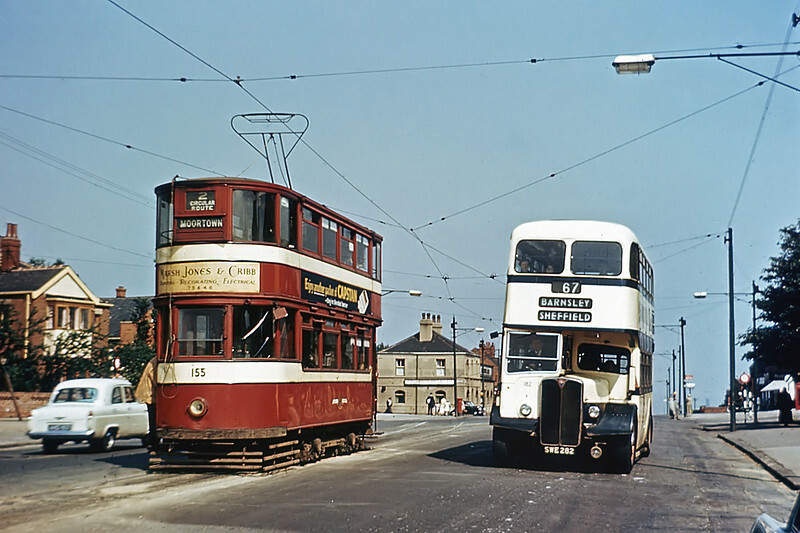 These were designed by GT Andrews for the York and North Midland Railway; Filey is the other still extant. As I said it is probably unlikely I shall get out much in the next few weeks, but please check back here, or on my website, in case. 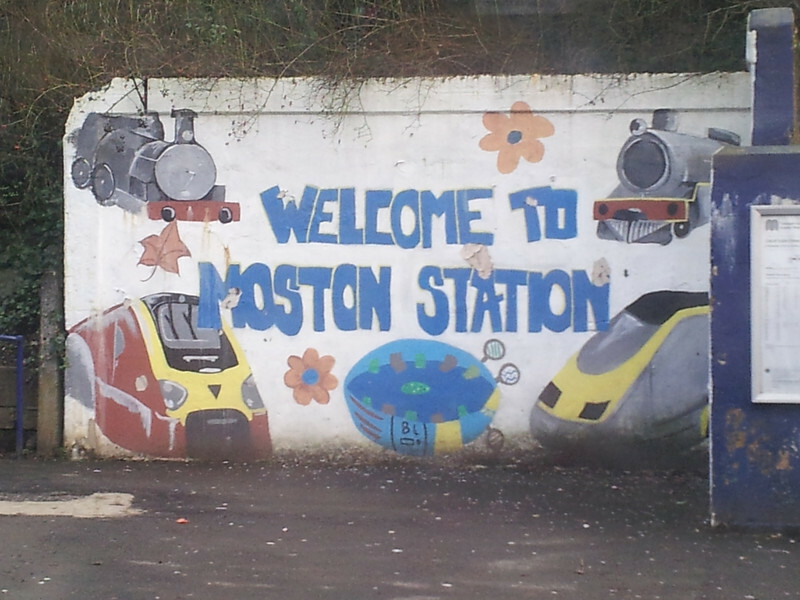 Thanks as usual for reading, I will leave you with a mural I spotted demonstrating how optimistic the inhabitants of Moston are as to what their future train service will be provided by once the Pacers and Sprinters are final retired. Moston to Paris anyone?